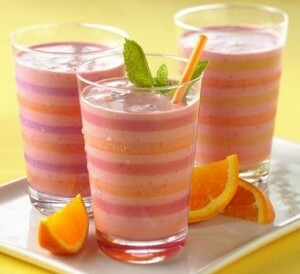 Smoothies have become an all-time favorite for those who wish to be healthier. They are great meal replacements, easy to prepare, fun for kids, and when prepared right, packed with minerals and nutrients to fuel the body for hours. There’s just one thing, not all smoothies are created equally. Depending on where you purchase your smoothies from or the types of ingredients you’re placing in them, a very beneficial drink could go from healthy to unhealthy in an instant. The solution, try making smoothies at home and include some of the following ingredients in them for a variety of healthy goodness. Protein powder can be a great addition to a smoothie. Protein is crucial to muscle health and it is recommended that you consume about 56 grams per day. There are various protein powders on the market you can choose from including whey protein, and plant-based options like rice or hemp. Be sure to read the ingredients to ensure they’re all-natural and don’t contain too much sugar. Seeds are a great addition to any smoothie. Not only do they add to your daily value of protein intake, but they are also packed with omega fatty acids. You can mix up your seed choices and add them to a blender for a rich and smooth taste. Some of the most popular seed choices include chia seeds, flax seeds, and hemp seeds. The sight of a green smoothie may make you cringe, however, the taste and benefits are actually surprising. Green veggies like spinach, kale, and avocado are great additions to smoothies and also pack a bunch of nutrients. You’ll find protein, iron, and tons of other vitamins infused in greens. Mixing them with sweeter fruits can help to give the smoothie a tad more flavor. Are you trying to treat a medical condition, detox, or improve your overall health? If so, adding herbal supplements to your smoothie can help. As taking herbs in pill or powder form can be gross or cumbersome, adding them to a smoothie helps to mask the taste while giving you all the health benefits. Some popular supplements to add to your smoothie might include ginseng, spirulina, and turmeric. If you love beverages that pack a punch then adding spices to your smoothie are a good idea. Not only do they help to boost the flavor but they also help the vitamins and nutrients get into your system a lot easier. There are plenty of spices you can try, however, some of the all-time favorites are cayenne pepper and cinnamon. What’s a smoothie without a good combination of fruit? There are so many different fruits to choose from and the more colorful your combinations the more health benefits you stand to benefit from. Berries like strawberries, blueberries, raspberries, and blackberries are delicious while more tropical fruits like pineapple, mango, and oranges help to add a bit of citrus to the mix. Don’t be afraid to experiment. If you suffer from diabetes, however, you may want to steer clear of fruits with higher sugar content and try things like apples, bananas, and strawberries. You’ll need some liquid to create a base for your smoothies. Here is where a lot of people end up going wrong. Adding juice and syrups as a base only increase the sugar content which increases the calories and reduces the healthiness of the smoothie. There are a lot of fluids you can use for a base including spring water, almond milk, coconut milk, or coconut water. They all keep you hydrated and are packed with beneficial vitamins and nutrients. Drinking a healthy smoothie a day can help to improve your health by leaps and bounds. You’re increasing your daily intake of vital vitamins and nutrients, fueling your body properly, and staying hydrated. If you enjoy these delicious treats for breakfast, lunch, or just as a snack, try to keep them healthy by adding more of the ingredients listed above and steering clear of things high in sugar, fat, and salt.